Peggy and Pam were two desperately disorganized sisters. 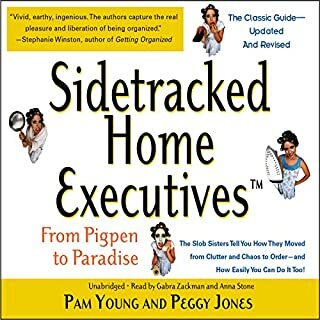 They started each day with the best of intentions but they never made it because they were "Sidetracked Home Executives" caught in the disorder of misplaced priorities, half-completed chores, and undirected energies - two smart ladies who'd never used their heads when coping with their homes. There is a PDF of the appendix provided! 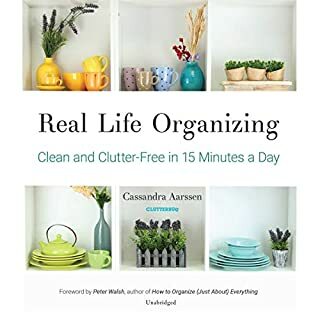 Most organizational books on the market profess to have a one-size-fits-all solution to home organization. Common anthems are to: go paperless, get rid of everything that doesn't spark joy, and capsulize your wardrobe. While some find success using these methods, the majority of American women are facing decades of delayed decisions piled high in unmarked boxes and shoved in storage rooms bursting at the seams. Fifteen-minute-a-day organization tips and color coordinated plastic boxes are no match for the memories and clutter contained in those rooms. 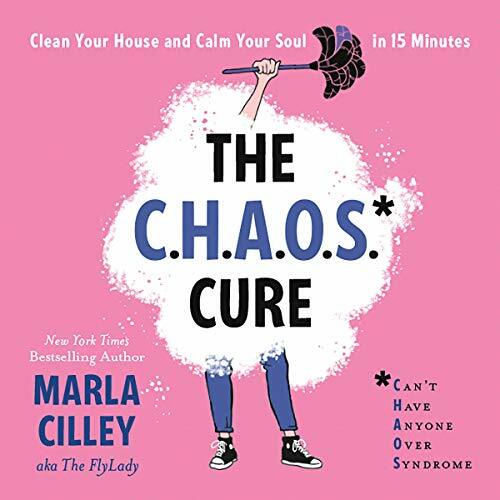 With the help of New York Times best-selling author and housekeeping guru Marla Cilley, you'll cure your household CHAOS (Can't Have Anyone Over Syndrome) by changing your messy home into a soothing sanctuary. 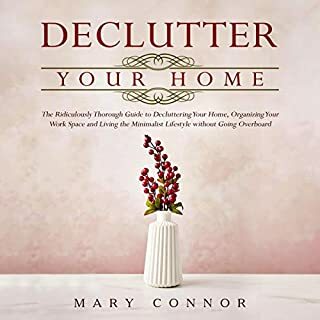 In her eagerly anticipated new book, Marla Cilley - aka "The FlyLady" to the hundreds of thousands who visit her website for daily domestic inspiration - reaches into our homes to help make housecleaning more meaningful and life less messy. With a little bit of armchair therapy and plenty of practical, tactical tips - such as "On the Fly!" quick fixes and genius uses for sticky notes - she'll help us get our houses in shipshape order before we can break a sweat. Along the way, the FlyLady teaches us to embrace household maintenance as an act of self-care, and to enjoy the soothing satisfaction of an orderly habitat. If you know the author from her years of real life "going live", you know narrating her own book for Audible was accomplished by an extraordinarily passionate heart—*not* by professional voice over. You need her voice to reach you whether you are an avid print reader or not. She is not. I am not. "Honey, ain't nobody got time for that?"(yet). Audible is my salvation and Marla Cilley may be too. I'm grateful she values her lifegiving message enough to offer it in multiple formats. Let her in your head like the hundreds of testimonials and messages of gratitude she receives every week for decades now. We will need to listen to this again and again. The content isn't difficult—we are. The Flylady is your caring mentor to cultivating domestic peace with ease. She gets you. She sees your past pains or shame. She champions you to open your door with delight not dread to an unexpected guest; to be available to a dear friend in a crisis moment; to deal with the demands of disease, financial or familial demise, and above all, the everyday to-dos and daily deadlines "adulting" demands. As unprofessional and unflattering as it sounds, I admit to living.. make that existing.. in a 1Day_Round2 mentality. I'm on listening round two as I review vs. waiting to get 'round to it.. yeah, that's Progress Baby! :) Don't add to your list, listen now. Not someday, Why Not Today?! It's Time2FLY! 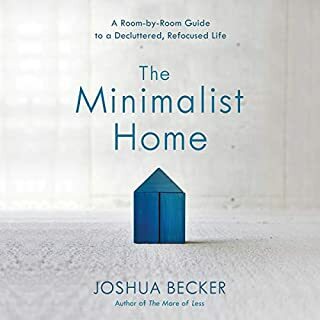 I love how positive this author is about organizing our homes and being blessed while doing it! The FlyLady has helped me through the years develop routines that establish a neat home and understand how to let go my perfection tendencies. You can take baby steps too and have a happy, clean, blessed home and enjoy it all. I am a wife of almost 30 years and a mom of 3. I found The FlyLady about a year ago on Facebook and YouTube and have listened to her every since. I have never read her first books because I stay so busy but purchased this one on audible. I felt that this is a book for young people as well as older ... I sure wish I would have known and used these methods while my kids were younger. Marla Cilley has sure been a blessing to me and my home and now I am never hesitant about opening the door when there are unannounced guests because my home stays presentable ... never perfect but always presentable... and that gives a sense of peace to my whole house and family. 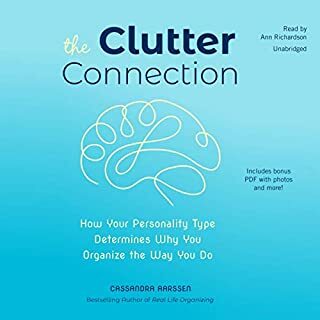 I recommend this book to anyone trying to find some simple routines to put in place and help control your busy crazy life . I have been “flying” for almost a year and I have to say that my house feels like it almost cleans itself. If you follow Marla’s system your house will get clean one little 15 minute segment at a time. You’ll learn to think of housework in a different way. Give this book at chance and see what happens. The flylady is a special person! Love the thoughts on Command hooks! Why have I only been using them at Christmas?!? Also, using the swifter mop with a rag for the walls! Yes! Thanks for constantly sharing your ideas with us! The content seems geared towards a stay at home mom. Helpful tidbits but I found it hard to relate. Book is read by the author. Her heavy, slow drawl was distracting. Disappointed in general. Returned the book after 30 minutes of listening. "Thank you, Flylady!" As I picked up and removed 4 pairs of jeans that I now call "fantasy jeans" and put them in the giveaway pile. Fly lady gave me permission to let go of my fantasy and acknowledge that when I am a different size, it will make sense for me to have clothing that is a different size. In the meantime, it makes more sense to have the space on my shelf instead of things I don't need on it. I have absolutely loved listening to this book! It is so real and so chock full of ideas and suggestions and recommendations and encouragement. Get this book. The CHAOS Cure is sweet medicine for my perfectionism! I have read all of Marla Cilley’s books! I love this book! I love all of her helpful hints. This book was so different than her other books. I was also so happy that she read her own book! Definitely a must have for those in need of some extra support in decluttering and keeping your house visitor worthy. 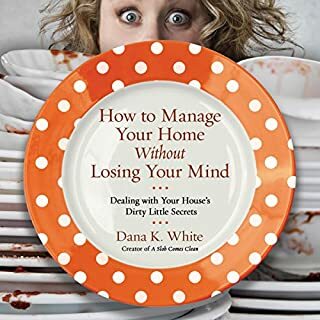 Easy read with great tips and thorough instructions to get our homes cleared out and a more peaceful life. Thanks for reading this to us Marla. You are the best. This audio book brought empowerment and patience to my soul. I actually meant to purchase the physical copy since I knew there are adorable illustrations in there, but I ended up with the paperback version of CHAOS to Clean in 31 Easy Baby Steps by mistake. (I look forward to reading that too!) The pink covers threw me off when I was shopping. Anyways, I know Miss Marla worked really hard to record the reading and I appreciate her doing so. Her voice soothes and encourages me. I was able to finish this audio book in two days since she made it so enjoyable. Had she not have read it, it would have taken me longer. With her advice, I can accomplish many wonderful things in life 15 minutes at a time, mundane or otherwise. Thank you for your down to Earth wisdom! FlyLady, You're a true inspiration. You're the reason why my home is now a peaceful place. May God bless you always.